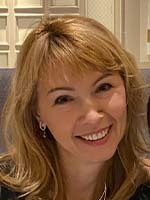 Olga first joined Dental & Cosmetic Solutions in October of 2014, and she has seven years of overall experience in the world of dentistry. 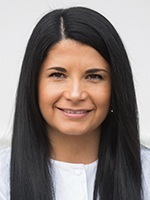 She received her education from the Polytechnic Institute and loves getting to know patients at the practice. Every day is different! Olga is from Mentor-on-the-Lake, and she and her husband Charles have two daughters. When she isn’t busy at work, she enjoys boating on Lake Erie and reading. 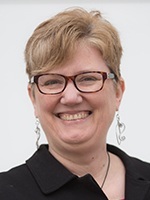 While Sue is still a relatively new member of our team, she has over 25 years of experience in the dental field. Originally from Storm Lake, IA, she attended Concordia College in Fargo, ND. She’s undergone additional training with Jay Geier, MGE, and DISC as well. Her favorite part of her job is meeting new people and learning from them. 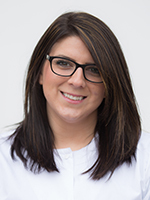 She strongly believes that you can always learn something new from every patient that comes in. Sue is married and has one son named Jake. Her hobbies include traveling, walking, cooking, exploring downtown Cleveland, and walking her cat on a leash. Lavi has been working in dentistry for nine years, the last seven of which were spent as a member of Dental & Cosmetic Solutions. She received her education from both Cuyahoga Community College and Youngstown University. She loves helping and educating patients about their oral health, as well as how to properly care for their teeth and gums at home. Lavi is from Satu-Mare in Romania and has two brothers (one of whom is her twin). Her hobbies include working with rescue dogs, exercising, and biking. She also loves skydiving! 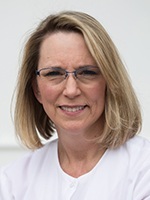 Susan hails from Tell City, IN, and her experience in dentistry spans over an impressive 30 years, the last seven of them spent right here at Dental & Cosmetic Solutions. She attended the University of Southern Indiana and also regularly takes continuing education courses online in order to stay current. She loves to learn! The practice has an amazing and diverse patient base, and her favorite part of the job is getting to interact with people from all over the world. Susan has two sisters, a baby brother, and countless nieces and nephews. She is looking forward to attending lots of weddings very soon! She is also a big animal lover and has trained and competed for years with her dogs. She even has her own pet training business and specializes in “problem” dogs. Ryan originally hails from Ternopil, Ukraine and now lives in Cleveland. 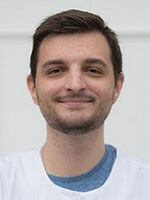 He studied at Tri-C and the University of Toledo and is licensed in X-rays. Today, his career in the dental field covers three years and counting. He enjoys seeing the patient’s smiling faces whenever he’s at the practice. Ryan recently applied to dental school and is awaiting their decision to begin a new exciting career. He loves helping everyone he interacts with smile, and no one would make a better dentist than Ryan! Ryan’s hobbies include listening to music, reading, and riding his bicycle. He is currently waiting to get into dental school. 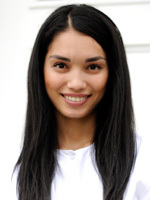 Nicole has been working in the dental field for over a decade now. For her education, she attended Kent State, Lakeland Community College, and the Cleveland Institute for Dental & Medical Assisting. She is certified in CPR, radiology, Healthy Start, and OSHA. Her favorite part of her position here is spending time with her wonderful coworkers and building strong patient relationships. Originally from Chardon, Nicole has a six-year-old daughter and a cat named Buddy. Her hobbies include kayaking, getting lost for hours on a hike, and spending time at the beach. She is still looking for Mr. Right! Karina, originally from Uzbekistan, was a patient before she ever joined our team. We may have had something to do with encouraging her to become a dental assistant -- but she simply loves her role in making people smile. Karina also has her certification in dental X-rays. Dental hygiene may be in her future, but for now Karina is passionate about her job and enjoys arranging flowers and running in her free time.